If so, it might be time you paid a visit to an auto paint shop. When you are looking for an auto paint shop in the Lakewood, WA area, Lakewood Auto Body is the name to remember. 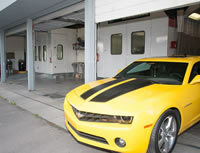 Our dedicated team of technicians have years of experience and expertise in auto painting. 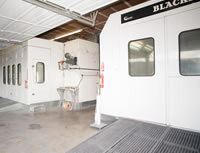 We use cutting-edge supplies and procedures in our auto paint shop. Car painting is an art. Ensuring a gorgeous paint job takes a great deal of prep work and patience. Car painting also takes knowledge and experience. Our auto paint shop employs only the most highly skilled and trained technicians with a passion for providing the best car painting in town. You cannot trust just anyone with an auto paint project. 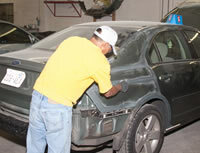 You need technicians who can get the auto painting job done to the highest workmanship and safety standards. We can give your vehicle a brand new look or restore it to its former glory with our professional auto painting services. No matter what your car needs, our auto paint shop in Lakewood can make your vehicle look better than ever. Let our technicians restore your vehicle's finish back to its original condition. We have a countless range of auto painting colors and finishes available to get your vehicle looking like new. Whether you have a car, SUV, or a truck, we can meet your custom auto painting needs to exact specifications. For all of your custom auto painting needs, count on Lakewood Auto Body. For questions or appointments, call us at 253.581.0220. We look forward to serving your needs.